A Eurasian is a person of mixed Asian and European ancestry. Portuguese people are a Romance ethnic group indigenous to Portugal that share a common Portuguese culture and speak Portuguese. Their predominant religion is Christianity, mainly Roman Catholicism, though vast segments of the population, especially the younger generations, have no religious affiliation. Historically, the Portuguese people's heritage includes the pre-Celts and Celts. A number of Portuguese descend from converted Jewish and North Africans as a result of the Moorish occupation of the Iberian Peninsula. The phenotype of an organism is the composite of the organism's observable characteristics or traits, including its morphology or physical form and structure; its developmental processes; its biochemical and physiological properties; its behavior, and the products of behavior, for example, a bird's nest. An organism's phenotype results from two basic factors: the expression of an organism's genetic code, or its genotype, and the influence of environmental factors, which may interact, further affecting phenotype. When two or more clearly different phenotypes exist in the same population of a species, the species is called polymorphic. A well-documented polymorphism is Labrador Retriever coloring; while the coat color depends on many genes, it is clearly seen in the environment as yellow, black and brown. Richard Dawkins in 1978 and then again in his 1982 book The Extended Phenotype suggested that bird nests and other built structures such as caddis fly larvae cases and beaver dams can be considered as "extended phenotypes". Sir Richard Ottley was an English Royalist politician and soldier who served as a youth in the English Civil War in Shropshire. After the Restoration he played a prominent part in the repression of Parliamentarians and Nonconformists and was MP for Shropshire in the Cavalier Parliament. The Portuguese arrived in 1505 in what outsiders then called Ceylon. Since there were no women in the Portuguese navy, the Portuguese sailors married local Sinhalese and Tamil women. This practice was encouraged by the Portuguese. The Dutch first made contact and signed a trade agreement with the Kingdom of Kandy in 1602. From 1640 on the Dutch East India Company (VOC) had a governor installed and conquered more and more fords from the Portuguese, until, in 1658, the last Portuguese were expelled. However, they permitted a few stateless persons of Portuguese-Jewish (Marrano) descent, and of mixed Portuguese-Sinhalese ancestry to stay. Many people having a Portuguese name were a result of forced conversions of local/native people in order to work for the Portuguese. As a result, Burghers with Portuguese names are most likely to be of Sinhalese ancestry, with a very small portion being Portuguese or mixed Portuguese-Sinhalese ancestry. Those of a Portuguese-Jewish background can be traced in various forms or surmised from their surname. Most Burghers of Eurasian descent with Portuguese surnames are of Sinhalese and Dutch, British, German and/or other European descent. The Kingdom of Kandy was an independent monarchy of the island of Sri Lanka, located in the central and eastern portion of the island. It was founded in the late 15th century and endured until the early 19th century. Marranos were Jews living in the Iberian Peninsula who converted or were forced to convert to Christianity during the Middle Ages, yet continued to practice Judaism in secret. 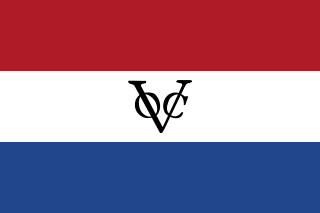 During the Dutch period, all Dutch colonial operations were overseen by the VOC ('Vereenigde Oost-Indische Compagnie' or United East India Company). Virtually all Burghers from this period were employees of the VOC. The VOC employed not only Dutch nationals, but also enlisted men from the Southern Netherlands, the German states, Denmark and Austria. It is therefore not unusual to find ancestors from these countries in many Dutch Burgher family trees. The term 'Burgher' comes from the Dutch word burger, meaning "citizen" or "town dweller", and is cognate with the French and English word "bourgeois". At this time in Europe, there had emerged a middle class, consisting of people who were neither aristocrats nor serfs. These were the traders and businessmen, who lived in towns and were considered free citizens. In Europe, they were called burghers, and they were encouraged to migrate to the colonies in order to expand business horizons. Dutch Ceylon had two classes of people of European descent: those who were paid by the VOC and were referred to as Company servants (i.e. employees), and those who had migrated of their own free will. The latter were not referred to as burghers in Ceylon, but rather by their rank, position or standing. During British colonial rule, they were referred to by the British as 'Dutch Burghers' and formed the European-descended civilian population in Ceylon. To some degree the term of Burgher was used in a derogatory way to divide and conquer the population, as it distinguished between British and other races or positions. The 'Dutch Burgher' community took pride in its own achievements and prized their European ancestry. A number of Dutch Burgher Union journals have been created over a period of time, to record family histories. They were not only of Dutch origin but incorporated European (Dutch, German, Hungarian, Italian, French, Swedish etc. ), United Kingdom, Portuguese Mix, and Sinhalese lines. When the British took over in 1796, many VOC employees chose to leave. However, a significant number chose to stay, mostly those of mixed descent. Some chose to go to Batavia, which was the headquarters of the VOC. Reportedly about 900 families, both free citizens and United East India Company employees, decided to remain in Ceylon. The British referred to them all as 'Dutch Burghers'. One condition of their being allowed to stay was that they had to sign a Treaty of Capitulation to the British. Many 'Dutch Burghers' can find their ancestors' names in this treaty. At the time of the British conquest, the 900 'Dutch Burgher' families residing in Ceylon were concentrated in Colombo, Galle, Matara and Jaffna. The Burghers included members of the Swiss de Meuron Regiment, a mercenary unit employed by the VOC. In diplomatic negotiations in Europe, Count de Meuron pledged allegiance to the British in exchange for back pay and information. This allowed the British to get detailed fortification information and reduce the fighting strength of Ceylon prior to 1796. The de Meuron Regiment refused to fight the Dutch due to relationships forged on the island of Ceylon and South Africa. Post 1796 members of the de Meuron Regiment stayed in Ceylon, whilst the regiment itself went off to fight and distinguish itself in India and later in Canada. Data is based on the Sri Lankan Government Census. In the census of 1981, the Burgher population of Sri Lanka was 39,374 persons, about 0.2% of the total population. The highest concentration of Burghers is in Colombo (0.72%) and Gampaha (0.5%). There are also significant communities in Trincomalee and Batticaloa, with an estimated population of 20,000. Burgher descendants are spread throughout the world. Families with surnames such as Van Dort (or the variant Vandort) are of Dutch ancestry. Percentage of burghers per district based on 2001 or 1981 (cursive) census. Nowadays Burgher people predominantly speak Sinhala. Until the early 20th century, many Burghers spoke English and a form of Portuguese Creole, even those of Dutch descent. Portuguese Creole had been the language of trade and communication with Sri Lankans. It is now only spoken in parts of the coastal towns of Trincomalee and Batticaloa. While much vocabulary is from Portuguese, its grammar is based on that of Tamil and Sinhalese. Burgher culture is a mixture of East and West, reflecting their ancestry. They are the most Europeanised of the ethnic groups in Sri Lanka. Most of them wear modern contemporary clothing, although it is not uncommon for a man to be seen wearing a sarong , or for a woman to wear a sari . A number of elements in Burgher culture have become part of the cultures of other ethnic groups in Sri Lanka. For example, baila music, which has its origin in the music of 16th-century Portugal, has found its way into mainstream popular Sinhalese music. Lacemaking, which began as a domestic pastime of Burgher women, is now a part of Sinhalese culture too. Even certain foods, such as love cake, bol fiado (layered cake), ijzer koekjes , frikkadels (savoury meatballs) and lamprais, have become an integral part of Sri Lankan national cuisine. Burghers are not physically homogeneous. It is possible to have a blond, pale white-skinned Burgher, as well as a Burgher with a very dark complexion and black hair, a Burgher with complexion from brown to light brown and black hair, and a Burgher with fairer complexion and black hair. Pale-skinned and dark-skinned children can even appear as brother and sister in the same family of the same parents. Burghers share a common culture rather than a common ethnicity. Burghers have a very strong interest in their family histories. Many old Burgher families kept stamboeken (from the Dutch for "clan books"). These recorded not only dates of births, marriages and deaths, but also significant events in the history of a family, such as details of moving house, illnesses, school records, and even major family disputes. An extensive, multi-volume stamboek of many family lineages is kept by the Dutch Burgher Union. However, some traditions attributed to Judaism can also be explained as borrowings or retention from the Tamil and Sinhalese communities with whom many Burgher families also share ancestry and culture. For example, the purification bath after a girl’s first period is a common cultural feature of the Tamil and Sinhalese communities of Sri Lanka and neighboring India. Hence its prevalence amongst some Burghers families of Sri Lanka is not necessarily of Jewish origins. Some commentators believe that the Burghers’ own mixed backgrounds have made their culture more tolerant and open. While inter-communal strife has been a feature of modern Sri Lankan life, some Burghers have worked to maintain good relations with other ethnic groups. In 2001 the Burghers established a heritage association, the Burgher Association, with headquarters at No.393, Union Place, Colombo 2 Sri Lanka. Islam is a minority religion in Sri Lanka. 9.66% of the Sri Lankan population practice Islam. 1,997,361 persons adhere to Islam as per the census of 2012. 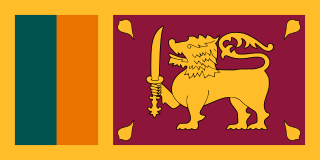 Sri Lanka Indo-Portuguese, Ceylonese Portuguese Creole or Sri Lankan Portuguese Creole (SLPC) is a language spoken in Sri Lanka. While the predominant languages of the island are Sinhala and Tamil, the interaction of the Portuguese and the Sri Lankans led to the evolution of a new language, Sri Lanka Portuguese Creole (SLPC), which flourished as a lingua franca on the island for over 350 years. SLPC continues to be spoken by an unknown, extremely small population. All speakers of SLPC are members of the Burgher community: descendents of the Portuguese and Dutch who founded families in Sri Lanka. Europeans, Eurasians and Burghers account for 0.2% of the Sri Lankan population. Though only a small group of people actually continue to speak SLPC, Portuguese cultural traditions are still in wide practice by many Sri Lankans who are neither of Portuguese descent nor Roman Catholics. SLPC is associated with the Sri Lanka Kaffir people, an ethnic minority group. SLPC has been considered the most important creole dialect in Asia because of its vitality and the influence of its vocabulary on the Sinhalese language. Lexical borrowing from Portuguese can be observed in many areas of the Sinhalese language. Portuguese influence has been so deeply absorbed into daily Sri Lankan life and behavior that these traditions will likely continue into perpetuity. Sri Lankan Australians refers to people of Sri Lankan heritage living in Australia; this includes Sri Lankans by birth and by ancestry. Sri Lankan Australians constitute one of the largest groups of Overseas Sri Lankan communities and are the largest diasporic Sri Lankan community in Oceania. Sri Lankan Australians consist of people with Sinhalese, Tamil, Moor, Burgher, Malay and Chinese origins among others. The caste systems in Sri Lanka are social stratification systems found among the ethnic groups of the island since ancient times. The models are similar to those found in Continental India, but are less extensive and important for various reasons, although the caste systems still play an important and at least symbolic role in religion and politics. Sri Lanka is often considered to be a casteless or caste-blind society by Indians. In Sri Lanka, the names Mestiços or Casados ("Married") referred to people of mixed Portuguese and Sri Lankan descent. The names can be traced back to the 16th century. The Portuguese Burghers are an ethnic group in Sri Lanka, of mixed Portuguese and Sri Lankan descent. They are Roman Catholic and spoke the Sri Lanka Indo-Portuguese language, a creole based on Portuguese. In modern times, English has become the common language while Sinhalese is taught in school as a second language. 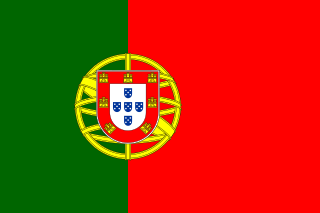 A large number of Portuguese Burghers living on the east coast of Sri Lanka are of Portuguese descent; this is evident in the Sri Lanka-Indo Portuguese language, which has many affiliations to Sinhalese and Portuguese. They are mixed with other Burgher people, including Dutch Burghers. However, Portuguese Burghers are not Dutch Burghers. Colombo District is one of the 25 districts of Sri Lanka, the second level administrative division of the country. The district is administered by a District Secretariat headed by a District Secretary appointed by the central government of Sri Lanka. The capital of the district is the city of Colombo. Sri Lankan Chetties also known as Colombo Chetties, is an ethnicity in the island of Sri Lanka. Formerly considered a Sri Lankan Tamil caste, were classified as a separate ethnic group in the 2001 census. They were a class of Tamil speaking traders, who migrated from the South India under Portuguese rule. Sri Lankan place name etymology is characterized by the linguistic and ethnic diversity of the island of Sri Lanka through the ages and the position of the country in the centre of ancient and medieval sea trade routes. While typical Sri Lankan placenames of Sinhalese origin vastly dominate, toponyms which stem from Tamil, Dutch, English, Portuguese and Arabic also exist. In the past, the many composite or hybrid place names and the juxtaposition of Sinhala and Tamil placenames reflected the coexistence of people of both language groups. Today, however, toponyms and their etymologies are a source of heated political debate in the country as part of the political struggles between the majority Sinhalese and minority Sri Lankan Tamils. Dutch Ceylon was a governorate established in present-day Sri Lanka by the Dutch East India Company. Although the Dutch managed to capture most of the coastal areas in Sri Lanka they were never able to control the Kandyan Kingdom located in the interior of the island. Dutch Ceylon existed from 1640 until 1796. Ceylon was a British Crown colony between 1815 and 1948. Initially the area it covered did not include the Kingdom of Kandy, which was a protectorate from 1815, but from 1815 to 1948 the British possessions included the whole island of Ceylon, now the nation of Sri Lanka. British Sri Lankans are a demographic construct that contains people who can trace their ancestry to Sri Lanka. It can refer to a variety of ethnicities and races, including Sinhalese, Tamils, Moors/Muslims, and Burghers. Kandyan Kingdom falling into the hands of the British Empire and deposing of king Sri Wickrama Rajasingha started the history of British Ceylon It ended over 2300 years of Sinhalese monarchy rule on the island. The British rule on the island lasted until 1948 when the country gained independence. The Dutch Burghers are an ethnic group in Sri Lanka, of mixed Dutch, Portuguese Burghers and Sri Lankan descent. 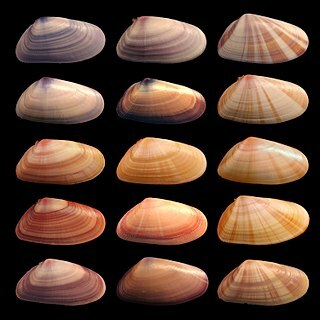 However, they are different community when compared with Portuguese Burghers. Originally Protestant, many Burghers today are Christian, but belong to a variety of denominations. The Dutch Burghers of Sri Lanka speak English and the local languages Sinhala and Tamil. The Sri Lankan Malaysians are an ethnic group that consists of people of full or partial Sri Lankan descent who were born in or immigrated to Malaysia. Indian Moors were a grouping of people who existed in Sri Lanka predominantly during its colonial period. They were distinguished by their Muslim faith whose origins traced back to the British Raj. Therefore, Indian Moors refer to a number of ethnic groups such as Memons, Bohra and Khoja. These groups tended to retain their own ancestral practices and language. However the largest specific group were Tamils from South India. Indian Moors shared a similar history to Indian Tamils of Sri Lanka, however due to their decline and smaller numbers the Indian Moors have either returned to India or have declared themselves as being classified as Sri Lankan Moors. ↑ "A2: Population by ethnic group according to districts, 2012" (PDF). Census of Population & Housing, 2011. Department of Census & Statistics, Sri Lanka. 2012. Retrieved 19 March 2016. ↑ Peter Reeves, ed. (2014). The Encyclopedia of the Sri Lankan Diaspora. Editions Didier Millet. p. 28. ISBN 978-981-4260-83-1 . Retrieved 20 March 2016. ↑ Sarwal, Amit (2015). Labels and Locations: Gender, Family, Class and Caste – The Short Narratives of South Asian Diaspora in Australia. Cambridge Scholars Publishing. pp. 34–35. ISBN 978-1-4438-7582-0 . Retrieved 20 March 2016. ↑ Jupp, James (2001). The Australian People: An Encyclopedia of the Nation, Its People and Their Origins (2 ed.). Cambridge University Press. p. 940. ISBN 978-0-521-80789-0. ↑ Ferdinands, Rodney (1995). Proud & Prejudiced: the story of the Burghers of Sri Lanka (PDF). Melbourne: R. Ferdinands. pp. 2–32. ISBN 0-646-25592-4. Archived from the original (PDF) on 22 March 2015. ↑ Reeves, Peter (2014). The Encyclopedia of the Sri Lankan Diaspora. Editions Didier Millet. p. 28. 1 2 Orizio, Riccardo (2000). "Sri Lanka: Dutch Burghers of Ceylon". Lost White Tribes: The End of Privilege and the Last Colonials in Sri Lanka, Jamaica, Brazil, Haiti, Namibia, and Guadeloupe. Simon and Schuster. pp. 5–55. ISBN 978-0-7432-1197-0 . Retrieved 20 March 2016. 1 2 3 Pakeman, SA. Nations of the Modern World: Ceylon (1964 ed.). Frederick A Praeger. pp. 18–19. ASIN B0000CM2VW. 1 2 3 Cook, Elsie K (1953). Ceylon – Its Geography, Its Resources and Its People. London: Macmillan & Company Ltd 1953. pp 272—274. ↑ Smith, IR. Sri Lanka Portuguese Creole Phonology. 1978. Dravidian Linguistics Association. ↑ de Silva Jayasuriya, Shihan (December 1998). "The Portuguese Cultural Imprint on Sri Lanka" (PDF). Lusotopie 2000. pp. 253–259. Retrieved 19 March 2016. ↑ Mülle, J.B. "One Nation: diversity and multiculturalism-Part I". The Island (Sri Lanka). Archived from the original on 12 October 2012. Retrieved 28 March 2015. ↑ "Population by ethnic group, census years" (PDF). Department of Census & Statistics, Sri Lanka. Archived from the original (PDF) on 13 November 2011. Retrieved 23 October 2012. ↑ "Department of Census and Statistics-Sri Lanka". ↑ "Census of Population and Housing 2011". www.statistics.gov.lk. Department of Census and Statistics. Retrieved 14 November 2018. Bosma, Ulbe; Raben, Remco (2008). "Separation and Fusion". Being "Dutch" in the Indies: A History of Creolisation and Empire, 1500–1920. NUS Press. pp. 1–25. ISBN 978-9971-69-373-2 . Retrieved 20 March 2016. Wikimedia Commons has media related to Burgher people .